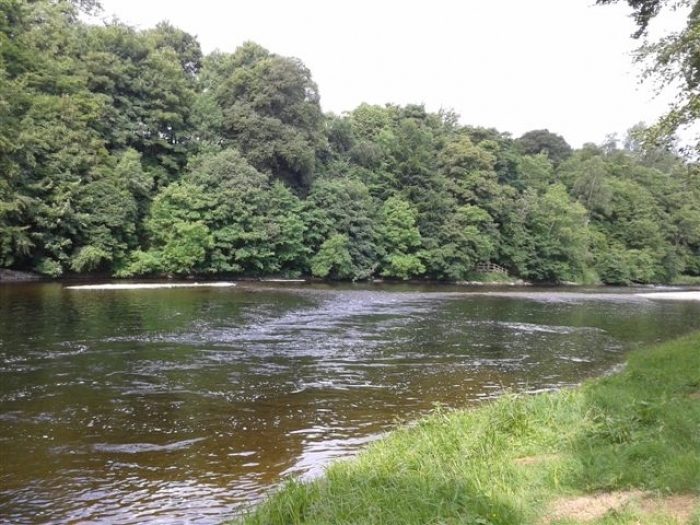 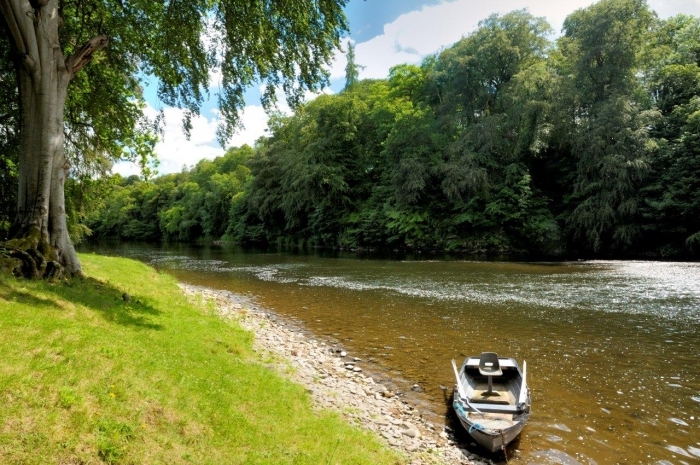 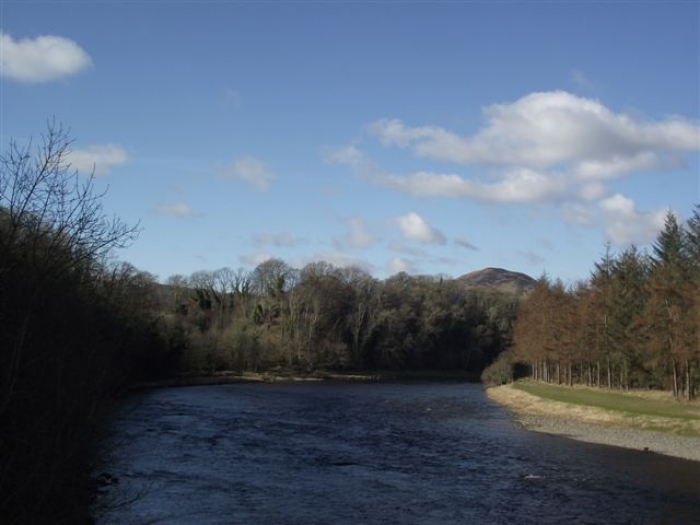 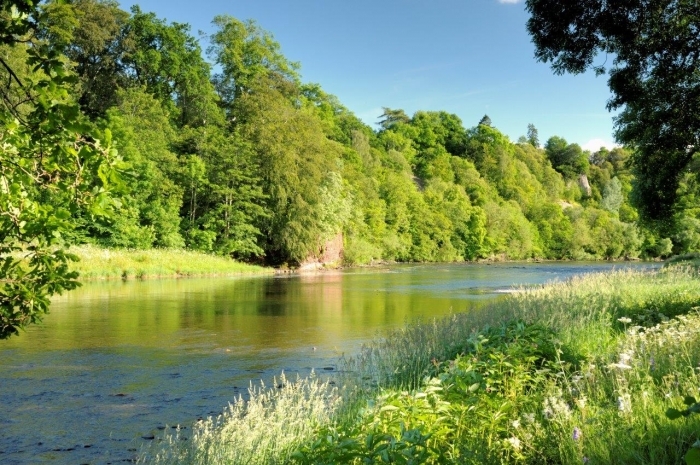 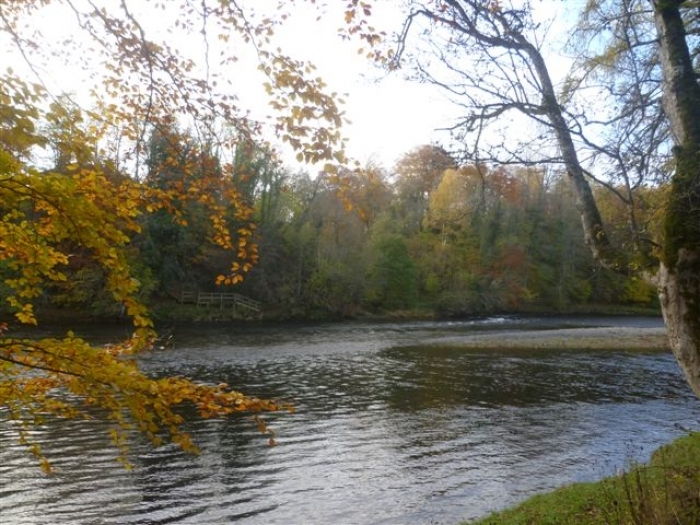 Dryburgh Lower is set in the most stunning of surroundings as the Tweed loops around the remains of Dryburgh Abbey, the Dryburgh Abbey Hotel and Dryburgh House parkland sweeping down to the river. 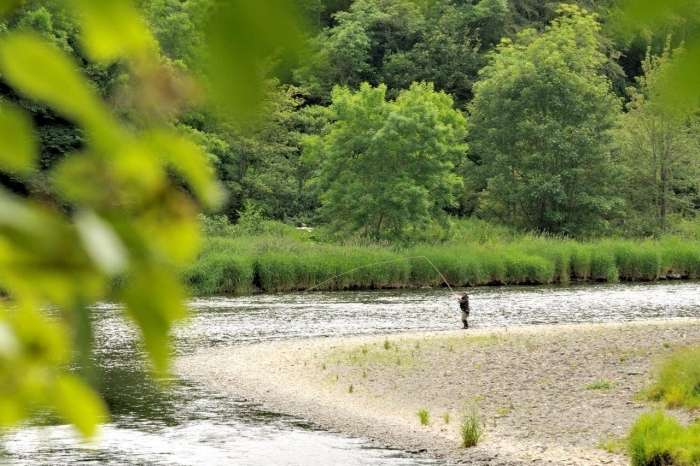 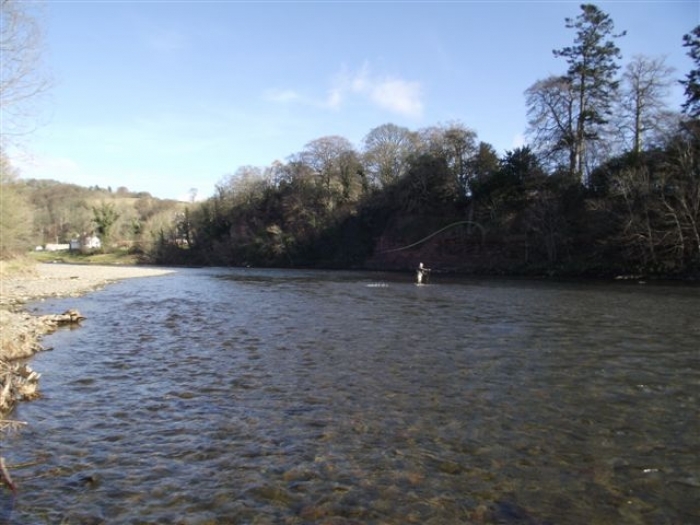 The fishing runs from the highly productive Hotel Steps pool for approximately one mile to the end of the Long Stream approximately half a mile above Mertoun Bridge. 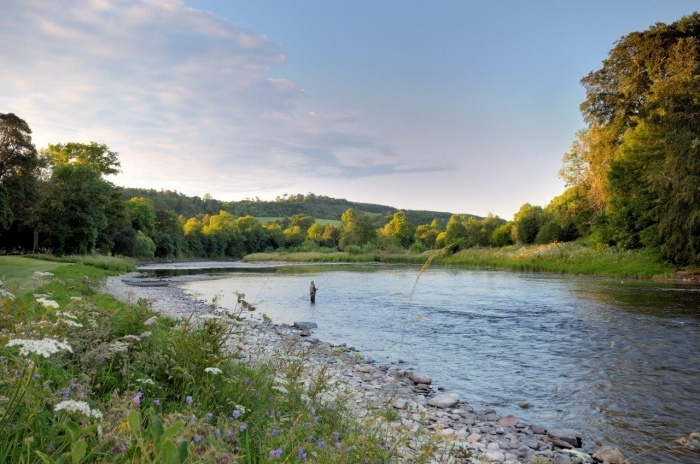 The fishing boasts excellent fly water and a host of attractive streams and pools most of which give easy wading and which hold fish throughout spring, summer and autumn. 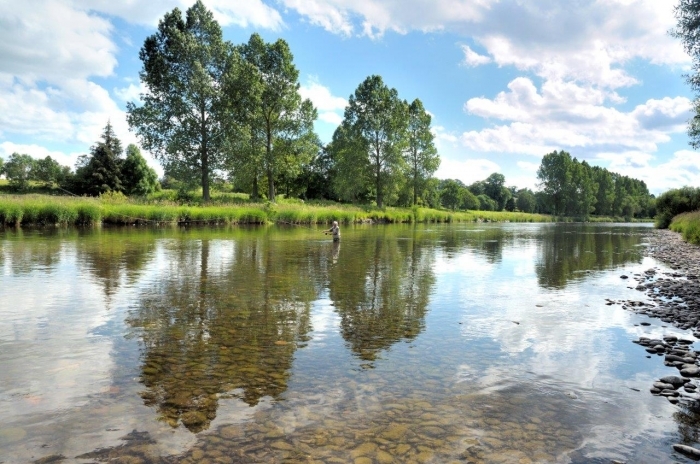 The spacious hut with veranda is set overlooking the Brockies Hole and Gullet Stream pools and is equipped with running water, wc and electricity. 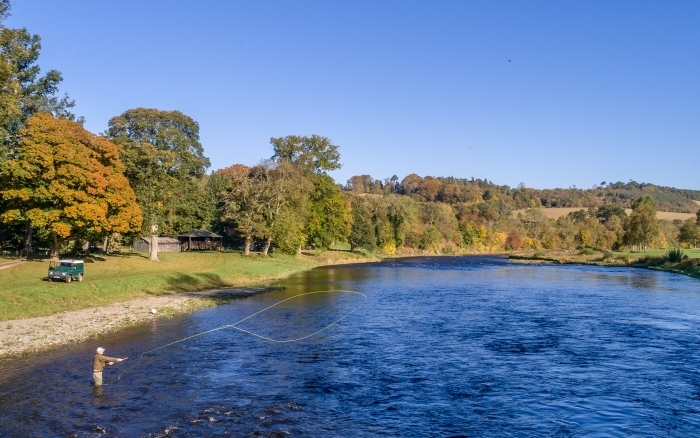 The ghillie at Dryburgh Lower, George Inglis (m: 07971 785230), is a Tweed icon and is sure to make your visit an enjoyable and productive one. 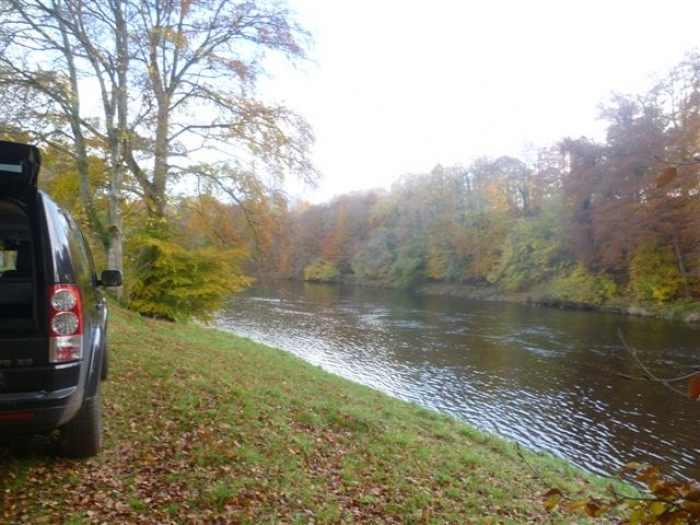 Make sure you give George a call before you visit and he can advise you on the correct equipment to bring. 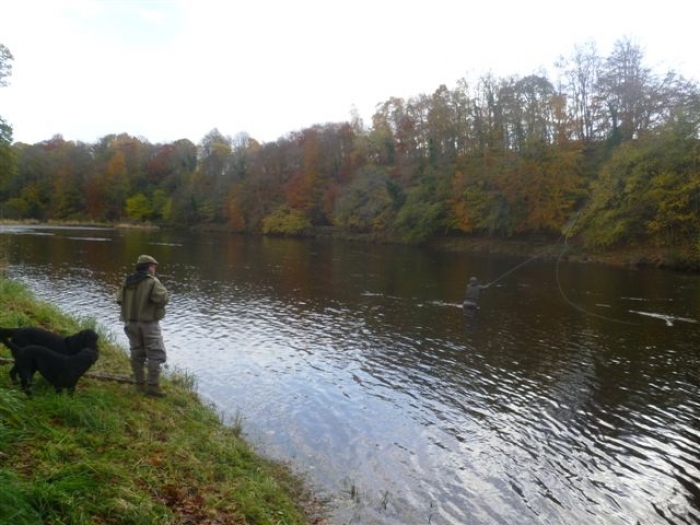 Rods should meet at 9am at the hut.